The engraved silver plated wine bottle coaster has a black wooden base and is supplied in a rigid cardboard box. The wine bottle coaster may be personalised for free as the price includes up to 20 characters engraved included in the price. Any additional characters to personalise your wine bottle coaster are then charged at 15p each. 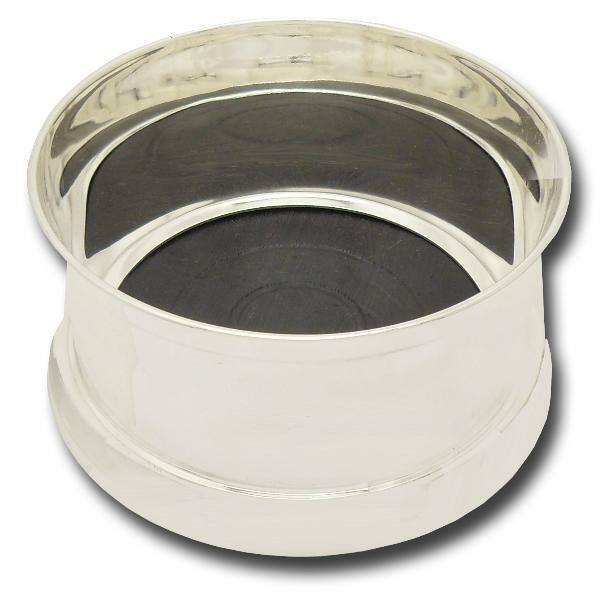 The engraved silver plated wine bottle coaster is approximately 5cm high and has a diameter of 10cm. The postage for the engraved wine bottle coaster is band A.